Description: Based of her blog by the same name, Soukup gives us the 12 secrets to leaving a life with less stress, less spending and more happiness. She talks about everything from daily routines to budgeting and gives ideas and her own personal stories to illustrate what works and what doesn't. Why I Picked This Book: By the time Christmas rolls around I always feel a little bit out of control both in my schedule and my spending. I thought this would be a good way to get a better grip on things and be ready for the new year. Pro: I liked the way Soukup didn't present herself as an expert but more of a "this is what worked for us". There were a number of fairly simple ideas that I hadn't really thought of - especially in establishing routines and budgeting - that I'm really excited about implementing. She also provides a number of printables from her site to help organize, budget, or just have life running more smoothly. While Soukup is married and has small children this advice is pretty universal. No matter if you live with 8 people or alone budgeting is still important as is having routines to feel productive. Con: I felt the way the bible verses were inserted made the reading a bit choppy. I'd be reading along and then would get a whole chunk of bible verses kind of thrown in the middle of a chapter. I thought it would flow better if they were put at the end of the chapter or the beginning so as to keep the flow going a bit better. There's some repetition, particularly in the first couple of secrets as several weren't that different. Overall: It's challenging to review self-help books because just because something didn't work for me didn't mean the advice of the ideas were bad it just means it didn't fit my particular set of issues. While this book wasn't perfect and not everything applied to me I did get a lot of ideas to use going forward and I'm now motivated to clean out a couple of closets I've been ignoring. I call that a win! Would I Read More of this Series/Author? 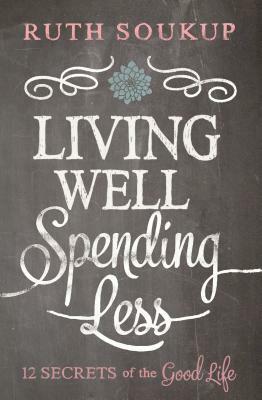 : I plan on following her blog Living Well Spending Less from now on and will definitely keep my eyes open for any new books though she wouldn't necessarily be an autobuy. Would I Recommend this Book? : Definitely! Despite the choppiness I think there's a lot here for those feeling overwhelmed or just wanting to get a better handle on things. Today's Top Ten Tuesday topic from The Broke and the Bookish is Top Ten Goals/Resolutions for 2014 though I'm interpreting this to mean 2015. 1. Read 132 books this year - My goal this year was 130 and I beat it by a few books so I'm increasing my goal by 1. 2. 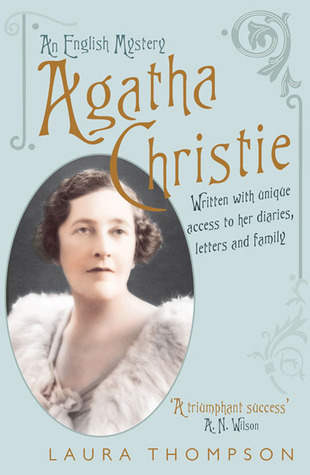 Finish re-reading Agatha Christie's books - I stared this at the beginning of 2014 and have read her Tommy and Tuppence books, her non-series books and the first Poirot books. This year I want to finish Poirot, and read all the Marple and short story collections. 3. Build up at least 2 weeks of blog posts - Right now I've only got at best a few days and there's always a slight panic-y feeling. Having 2 + weeks would be great. I've already made some prgress but I'd like to keep it going. 4. Actively participate in the Reading Challenges I signed up for - I signed up for some really fun challenges this year (see Challenge page in the header) and I want to really focus on participating instead of forgetting like I did this past year. I'm adding a Challenge section to my review template and plan on staying more organized about them. 5. Limit my NetGalley requests so I can get my review backlog cleared out and make some progress on my TBR shelves - I thinking maybe limiting it to maybe 10 new releases a month so I'll have some time to read older books. 6. Learn how to make candy - I have no idea why a candy thermometer scares me so much but it does. It's time to tackle that fear because I do love fudge! 7. Actually put together the photo books I've been talking about putting together for years - Pretty much since we switched to digital cameras I've been meaning to make photo books so we can actually see the pictures. This is the year to do that! I'd also like to put together a cookbook of all the recipes I use all the time. 8. Go one place we haven't been once a month - I'm not talking about a big trip but go somewhere. Be it a town, a restaurant or even a store. I want to go one place that I've never been before. 9. Actually attempt to do some of the thousands of pins I've pinned on Pinterest - I'm not exactly sure how I'm going to make this work but I need to come up with something. I've got so many pins and haven't done a fraction of them! 10. Start preparing for December before it actually is December so I'm not running crazy again - This year was much crazier than it had to be. So much so that I ended up getting myself sick. There was so much that got left to the last minute that I could have taken care of in October and November and been much happier. What do you resolve for the coming year? Trish at Between My Lines is hosting the Twelve Days of Christmas but instead of talking birds and lords o' leaping were talking books. Way more affordable and much easier to store than swans a swimming. Be sure to check out the other 11. For the fifth day we have cozies. Of if you're singing it it'd be Fiiiive Cooooo-zies. 1. Jennie Bentley's Do It Yourself Mystery series - There's small town Maine, history, restoring old houses, a dash of romance and hefty dose of dead bodies. In the first of the series Fatal Fixer Upper there's even long buried family secrets. 2. Lynn Cahoon's Tourist Trap Mysteries - Guidebook to Murder was the first in the series and I enjoyed it enough that I've read the other 2 in quick succession. If anything the series is getting strong. Plus, there's a bookstore! 3. Jenn McKinlay's Library Lover series - While I love McKinlay's cupcake series and I'm sure her hat shop books are fantastic my favorite is these set in small town Connecticut involving local librarian Lindsey Norris. 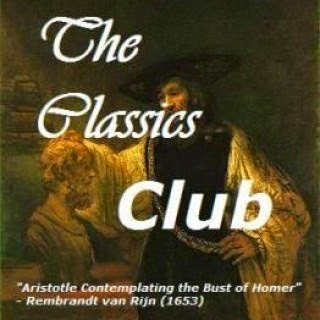 There's a book club, a nemesis with just enough of a presence to be interesting but not so much as to be annoying. Oh yeah, and murder. Books Can Be Deceiving is the first in the series. 4. 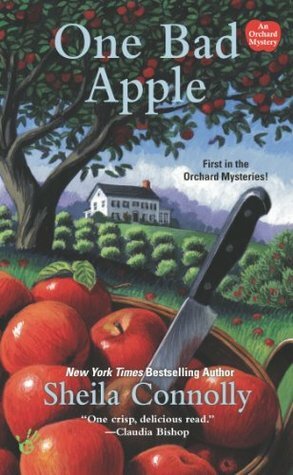 Sheila Connolly's Orchard Mysteries or her County Cork Mysteries - One Bad Apple introduces us to Meg, the house she unexpectedly inherited and the old apple orchard she was unaware even existed. I always want to go comb farmer's markets for unique apple types after reading these books! While I have enjoyed her museum series the plotting can be a bit confusing and my reason for loving it is because I used to work in a musuem. I have read the first in the County Cork series, Buried in a Bog, and it was great. Plus, it's a cozy set in Ireland! I'm not sure what else you could want! 5. Kate Carlisle's Bibliophile Mysteries - I know this is a big surprise but books about books are quite possible my favorite topic and this mystery series about book restorer Brooklyn Wainwright, never fails to disappoint. Start with the first, Homicide in Hardcover, so you can learn who everyone is. Carlisle has recently started a new series of mysteries about restoring houses that I can't wait to get my hands on! So those are the 5 cozies I recommend! If you're a regular cozy reader did I leave out any of your favorites? There's so many fun cozies out there it's hard to narrow the list down. I'm linking up with Kimberly over at The Caffeinated Book Reviewer for the Sunday Post where it's time to talk about what we got, what we read and everything else! Listening: Food: A Love Story by Jim Gaffigan. I just got this from the library and though I haven't had time to listen to very much what I have heard is pretty funny. Watching: Netflix movies. I was thrilled to discover they had Grosse Pointe Blank. It was my favorite move for years so I was worried it wouldn't live up to my memories but turned out I still enjoyed it! So we have done Christmas with my dad, Christmas with my mother, Christmas Eve with J's brother and family but without Eleanor, Christmas day and the day after Christmas with J's brother and family WITH Eleanor. All we have left is the Tornado's birthday. While this year has gone by much too fast I don't think I'll be too sad to see December over with. I need a nap. I love this time of year! Christmas is over and it's time to get ready to start fresh for the new year! I love lists and reorganizing. I'm already working on limiting the review books I take on and just being more organized overall. I will definitely be far more prepared for December than I was this year! 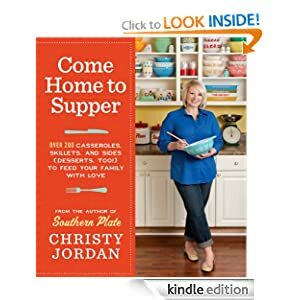 I love Christy's first book Southern Plate and her blog by the same name so I was excited to get my hands on her 2nd book Come Home to Supper. This is a handy book with tons of perfect weeknight dinner recipes. 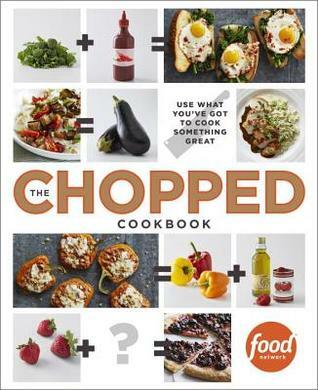 While I'm a huge fan of the show I wasn't sure what to expect from a Chopped cookbook. What I found were some adventurous but not crazy recipes and my family is still talking about the pretzel crusted pork sliders! While I'm not a vegan I love the idea of getting more meatless meals on rotation both for health and for budget. Many of Mayim's recipes were naturally vegan or would easily be made vegetarian by substituting regular mayo for the vegannaise. The meals are affordable and accessible. I have had a cold for the past week and my biggest dream is for someone to make me the chicken noodle soup from this cookbook. It's amazing and while time consuming isn't complicated. The recipe is drool worthy and every recipe I've tried has come out perfectly. I wasn't sure what to expect from this book based off the elaborate cover but while there is a section on decorating there's lots of recipe for those of us who aren't exactly artistically inclined. And the whoppie pies were crazy good. If I had to pick a favorite new cookbook this would probably be it. It's probably not the most family friendly but it's perfect for gift giving or just for treating yourself. I highly recommend the shortbread, the scones and the bourbon chocolate chip cookies. I laughed, I cried and I really wanted to eat. I've heard this was Flinn's weakest book but I absolutely loved it. I'm really looking forward to reading the first 2. If you can read this book without wanting pizza I don't think we can be friends. I don't even really love pizza but I would stand in an all day line for pizza from Delancey without hesitation. Plus if you've ever wondered what opening a restaurant is like I imagine this is a pretty true to life look. 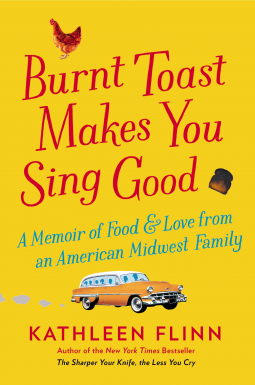 So these are my favorite foodie books from 2014. What new cookbooks ended up on your shelf this year? It's Friday Linkup time! I'm linking up with Book Blogger Hop hosted by Coffee Addicted Writer, Book Beginnings on Fridays hosted by Rose City Reader, and the Friday 56 hosted by Freda's Voice. Do you have a book with a location you just HAD to visit after reading the book? In terms of specific locations probably not though books have put coastal Maine and several other areas in the US on my one day list. At this point we're just not able to travel as much as I'd like to visit all the places I read about. I do tend to do the reverse - pick up a book because I love a specific location. 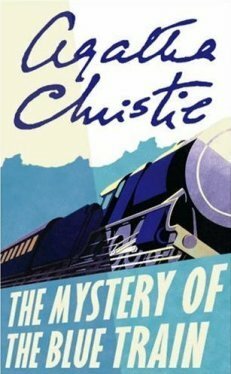 My book this week is The Mystery of the Blue Train by Agatha Christie. This is the 6th Poirot and according to some sources one that Agatha was the least satisfied because she had caved to pressure from her publisher on a few points. I, however, have always enjoyed it and it's nice revisiting it. "It was close on midnight when a man crossed the Place de la Concorde. In spite of the handsome fur coat which garbed his meagre form, there was something essentially weak and paltry about him." "Madness! Yes, Just that, madness! For the first time in her life she was swept away by emotion, swept away to the point of doing a thing which even she knew to be incredibly foolish and reckless. She was enough Van Aldin's daughter to realize her own folly, and level headed enough to condemn her own action." Merry Christmas! I hope everyone is having a wonderful day! 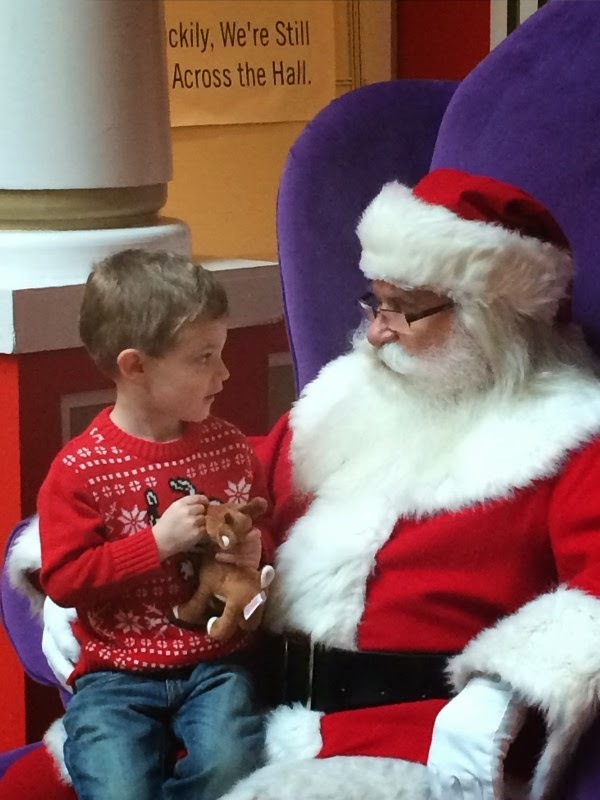 If nothing else you can be glad you're not the poor mall Santa that the Tornado choose to interrogate about reindeer. After having Christmas with my Dad, Christmas with my Mother and Christmas with J's family Christmas Day is our day to truly relax. We'll have Christmas morning with Santa presents and cinnamon rolls for breakfast. The kids will be in their new pajamas because they get a new pair every year on Christmas Eve. But after all that we'll have a little bit of peace and it's always so crazy that I really enjoy spending time with my family at home on this day. This was my first year of really doing some holiday reading and it definitely won't be my last! Have a lovely day! Description: 3 cousins who grew up as close as sisters have drifted apart in their adulthood. 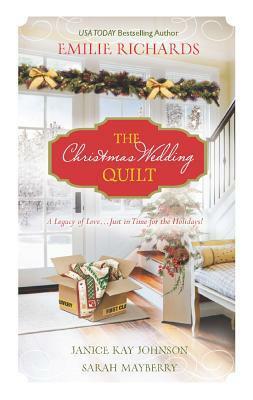 Until the death of their aunt and a wedding quilt for her daughter bring them back together. Why I Picked This Book: I've always been a fan of Emilie Richards and I'd been wanting to try Sarah Mayberry. Pus I loved the premise of this one. Overall: I expected to love this one going in with Emilie Richards heading up the book and it being about a quilt that each cousin works on but I ended up really loving it. While each story does focus on a romance there's more focus on each of the women getting to know themselves better. The heat is very low with scenes doing the fade to black before anything happens but I found it worked with the feel of the book. Would I Read More of this Series/Author? : I would read more from all 3 of these authors. Richards will remain a favorite and I'll be hunting down Sarah Mayberry's books. Would I Recommend this Book? : Absolutely! This is a great Christmas read! 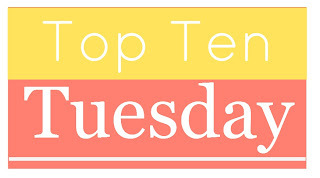 Today's Top Ten Tuesday topic from The Broke and the Bookish is Top Ten Books I Wouldn't Mind Santa Bringing This Year. 1. LudoBites Recipes and Stories from the Pop Up Restaurants of Ludo Lefebve - I love Ludo on The Taste so I'd love to try some of his recipes and learn more about him. 2. A Novel Cure by Ella Berthoud and Susan Elderkin - I saw the review for this on Bea's Book Nook and am intrigued. Have a cold? A broken heart? Jet lag? They have a book for that! 3. 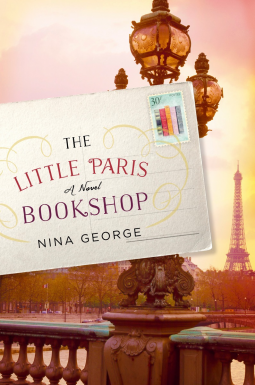 A Paris Apartment by Michelle Gable - It's an apartment crowded with all kinds of old stuff and it's in Paris. Really that's all I need to know! 4. The Silent Sister by Dianne Chamberlain - I've seen so many good reviews for this one I can't even name all the blogs. It sounds like a great thriller and I could use a little darkness after all the fluffy Christmas romances I've been reading. 5. One More Thing by B.J. Novak - I loved and sometimes loved to hate Novak's character on The Office and I've loved every interview I've read of his. This book is high up on my wishlist! 6. 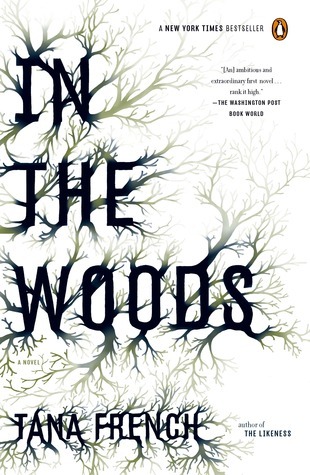 In the Woods by Tana French - This another author I've heard such good things about that I can't wait to try her books. 7. Lives in Ruins: Archaeologists and the Seductive Lure of Human Rubble by Marilyn Johnson - If I could have any job in the world archaeology would be in the top 5. Since it's not exactly a hiring field I'd like to live vicariously through this book! 8. Quiet: The Power of Introverts in a World that Can't Stop Talking by Susan Cain - I definitely have some introverted tendencies and my husband is right in the middle on the introvert camp. This one is high up on my wishlist! 9. Abandoned America by Matthew Christopher - I'm always fascinated by abandoned places and always want to know the story. Why places were abandoned the way they were. This coffee table type book looks like a fun one to flip through. 10. Marcus Off Duty: The Recipes I Cook at Home by Marcus Samuelsson - I've been fascinated by Marcus Samuelsson since I saw him compete on The Next Iron Chef and became even more interested when I read his memoir - Yes, Chef last summer. I'd love to try out some of his recipes. What books do you want Santa to leave in your stocking? Description: Juliet is tired of working tirelessly to make Christmas perfect for everyone except herself while her sister Gemma breezes in and out with only the slightest of excuses. Gemma is tired of her sister thinking that she's irresponsible and unreliable. It isn't her problem that Juliet is determined to be stressed. After an uncharacteristic argument Gemma comes up with an idea. She will stay and run Juliet's Christmas, because really how hard can it be? Juliet will take Gemma's tropical vacation. But the sisters quickly learn that maybe the grass isn't greener on the other side. Why I Picked This Book: It looked Christmas-y and is set for the most part in England which had been sadly lacking in my Christmas reading. Pro: I had only glanced at the premise when I request this book and if I had studied it more closely I probably wouldn't have requested it. Going in I didn't have high hopes for the actual premise. How could it possible be set up and not just seem silly? But it worked. It made sense why Gemma came up with the idea and it made sense while Juliet took her up on it. I loved both Juliet and Gemma. They were both flawed and had real issues with each other and it was interesting to watch them both figure themselves and each other out. There wasn't a lightbulb moment where they each realized that the other sister's life was more difficult than they had given them credit for and everything was fixed. It slowly evolved and they began to understand why the other acted the way they did. I really identified with both sisters and I really wanted them to work through their issues. Con: The romance in this is a subplot at best and really I could have done without it. One had red flags popping up from the beginning and the other had an ick factor though it does get resolved. While I really liked Juliet the parts from her perspective did tend to drag a bit. Partly because at the beginning of her vacation she wasn't doing much other than figuring out how to do nothing. Overall: This was an interesting read about sisters with lots of baggage learning to get past it and rebuild a relationship with each other. It also is about two women getting a better grip on who they are as people. If you're reading this book for those reasons I think you'll really enjoy it. If you're reading it as a Christmas romance I think you'd be disappointed. Would I Read More of this Series/Author? : Definitely! Despite my hesitation about the premise I really enjoyed this. Would I Recommend this Book? : Definitely! Though I'd recommend it as fiction not a romance. 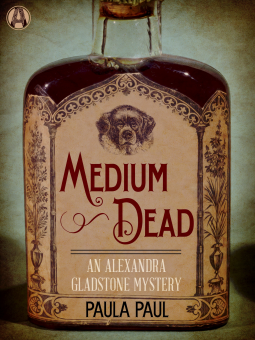 Medium Dead by Paula Paul - I haven't read many historical mysteries and this one with the comparison to Jacqueline Winspear set in Victorian England looked intriguing. Meet Your Baker by Ellie Alexander - Have I mentioned I have a weakness for any book involving chefs? Especially pastry chefs? Throw in a murder and I can't resist. Find the Good: Unexpected Life Lessons from a Small Town Obituary Writer by Heather Lende - Really the title says it all on this one. This comes out in April and I'm really looking forward to reading it. Listening: Still listening to Secrets to the Grave by Tami Hoag. I haven't had much listening time in the last couple of weeks but I'm almost done with this one. Watching: I'm loving The Librarians! I watched the first show this week and loved it. I enjoyed it more than the most recent movie. I think this show has lots of potential and TNT owes me one for cancelling Perception. I also enjoyed The Sing-Off. I don't know why but I love acapella. I'm just sad it was a one episode competition instead of the longer ones they've done in the past. I have caught up on this season of Doctor Who. I'm currently emotionally crushed but I have hope that it'll get better. So we have all (J, Paul, Emma and myself) gotten addicted to a trivia game called Trivia Crack. It turns out when it comes to trivia games none of us are good people. There's a lot of trash talking around the house and periodically one us will scream something along the lines of "What! ", "You've got to be kidding me" or "Boom" depending on what happened. Right now we're all pretty neck and neck with J taking a slight lead because he can kill us all at sports. Our dinner table conversations have turned to the various weird questions we've gotten. Eleanor came home for the weekend and has joined in the fun. It is good to know that the kids either through us, the public school system or their own initiative do seem to have a pretty broad knowledge of science, arts and history. I think I've gotten Christmas taken care of. There are a few things that didn't end up being able to do but it'll be fine. I did manage to stop by the mall so the Tornado could visit Santa. When I asked him what he had asked Santa for he informed me that he had so many questions he had forgotten to ask for anything. Apparently they did discuss the reindeer in detail though. Whatever mall Santas get paid it isn't enough. This year has just seemed so crazy. I don't know if it was because Thanksgiving was right at the end of December or I just wasn't paying attention. Regardless, I'm spending Christmas day in my pajamas and doing nothing more challenging than deciding how many of the Doctor Who Christmas specials I want to re-watch. Last summer I didn't miss an episode of the American Baking Competition. I loved the format, loved the judges, I loved the job Jeff Foxworthy did hosting and I loved seeing what the various contestants would come up with to deal with the challenge of the week. While Francine might not have been my absolute favorite she was probably a close second and she was one that was always entertaining to watch. Between her flavor combinations or what she said you never knew what to expect. So when I came across her cookbook on Blogging for Books I didn't hesitate. And I"m not disappointed! 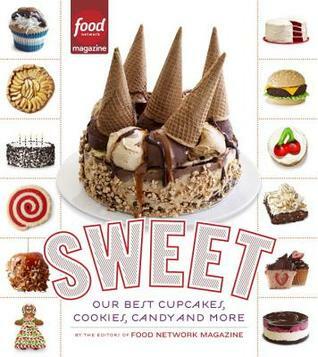 It's no secret that I enjoy baking and that I love cookbooks and this one was a treat. There are a lot of classic (classic - not basic) recipes like Carrot Cake, Banana Pudding, Catch-a-Husband Blackberry Cobbler, Lemon Bars, and Nana's Iced Pound Cake. There's a nice choice of unusual recipes like Cheesecake Chocolate Chip Cookie Bars, Pretzel Pie, Chocolate Whoopie Cake, Honey Bun Cake, and Francine's World-Famous Chocolate Bacon Peanut Butter Pie. This was the pie that on the show that British baking purist Paul Hollywood thought sounded awful only to admit upon tasting that he had been wrong and it was absolutely delicious. 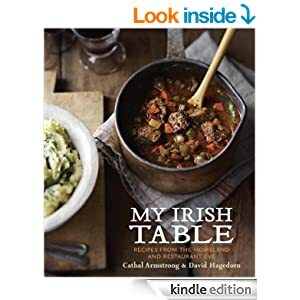 In the week that I've had this book I've made two recipes. I made the Cheesecake Chocolate Chip Cookie Bars and they've won over everyone. I followed her instructions to the letter and they were clear and precise. I think they'd be easy for a baking novice to follow but I didn't feel like anything was over-explained. The cookie bars have been a hit though I think when I make them again I'll bake them for about 5 minutes less than called for as the crust dried out a little. That hasn't stopped everyone from scarfing them down - including the extremely picky Tornado. Preheat the oven to 350. Grease 12 muffin cups. In a large bowl, whisk together the milk, eggs, and butter. Add the flour, baking powder, salt and cheese and mix, stirring with a wooden spoon, until just combined. Do not overmix. Spoon the mixture evenly into the muffin cups. Bake until golden brown on top and a cake tester or toothpick inserted in the center of a muffin comes out clean, 15 to 20 minutes. Let cool for 10 minutes in the pans, before turning out onto wire racks to cool at least slightly. If you slather a little honey on these I could inhale them. The texture is almost like a biscuit and they little cubes of cheese give little cheesey explosions though grating the cheese would work as well. I did end up with more than 12 - more like 16 - but I'm not complaining. These would be great served with breakfast or alongside a soup for lunch or dinner. 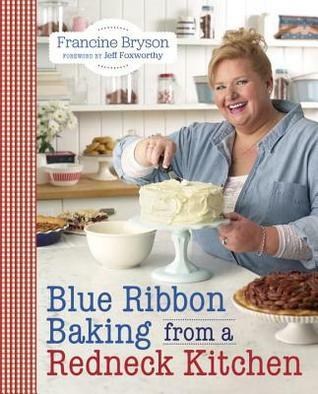 I'm looking forward to trying out more of Francine's recipes! The hard part will be deciding which one to try next! 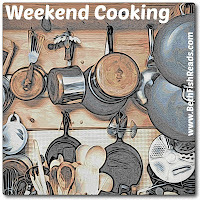 I'm linking up with Weekend Cooking hosted by Beth Fish Reads. *This book was provided by Blogging for Books in exchange for an honest review. Do you write a review for every book you read or only review copies from publishers? I review pretty much every book I read/listen. The main difference is that I publish the review book reviews as close to the review date as possible whereas I may store the review for a book I read just for fun for a week when I get behind. For my last Christmas book of the year is a book I reread every year around this time. This is a collection of short stories and excerpts from L.M. Montgomery. All are Christmas-y and all are wonderfully feel-good! The Beginning from "Matthew Insists on Puffed Sleeves"
"Matthew was having a bad ten minutes of it. He had come into the kitchen, in the the twilight of a cold, grey December evening, and had sat down in the wood-box corner to take off his heavy boots, unconscious of the fact that Anne and a bevy of her schoolmates were having a practice of "The Fairy Queen" in the sitting-room." My thoughts: This excerpt is from one of my favorite scenes in the book Anne of Green Gables. I'm always thrilled to revisit it in this this story. The 56 from "Aunt Cyrilla's Christmas Basket"
"The khaki boy said he hadn't tasted anything half so good since he left home. "They didn't give us pound cake in South Africa," he said"
So what do you think? Keep reading? Do you have any rereads for around the holiday season? Description: Lady Julia Grey and her husband Nicholas Brisbane are very much surprised to hear that he has been left a country house and even more surprised to hear that they have to be there in 2 days for All Hallow's Eve and Bonfire Night or they forfeit their inheritance. However, in the charming and beautifully run house all is not as it seems. Why I Picked This Book: Even though I'm incredibly behind on the series I love it and couldn't resist picking up this novella. Pro: Once again Raybourn impresses me with her ability to fully flesh out the world around her characters without being excessively descriptive. The house the Brisbanes inherit is beautiful and and fascinating with nooks and crannies and mysterious stairs and halls. Mrs. Smith may as well be an actual person she's so vividly drawn. Unlike in previous novellas the cast list is small so it isn't difficult to figure out who everyone is and their personalities are well fleshed out. Con: I loved absolutely everything about this novella until I got to the ending. It felt a little rushed and if you weren't familiar with the series I think it would've felt a bit like it came out of left field. 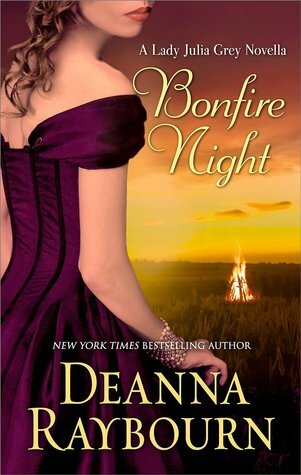 Overall: With interesting characters and beautiful settings this is a must read series for mystery lovers. This would be a perfect Halloween/Fall read for those who like creepy atmosphere but don't like scary books. Would I Read More of this Series/Author? : Yes, definitely! I'm hoping to do a massive read of the series in 2015. Would I Recommend this Book? : This book may not be the perfect choice for new readers but I'd definitely recommend the series. Description: An unexpected pregnancy is not on Caitlyn Winters' schedule. A driven medical student, she barely has time for a relationship much less a baby. She's unexpectedly fallen in love with family medicine resident Noah McIllroy. 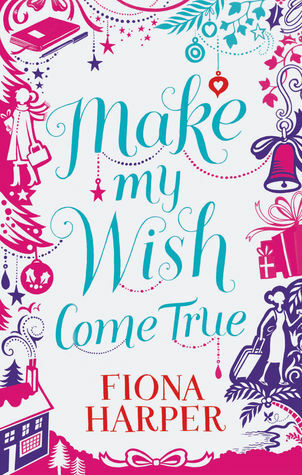 With the help of Noah and her large and interfering family can she figure out how to have everything she wants? 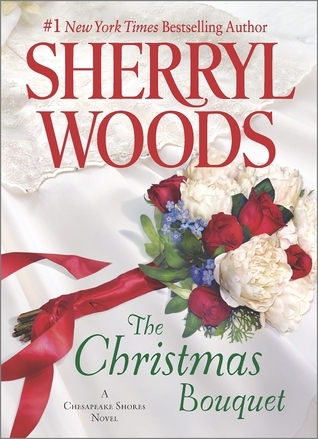 Why I Picked This Book: I loved Sherryl Woods' other books and was in a Christmas-y mood.. Pro: Sherryl Woods' writing didn't disappoint and I'm really looking forward to seeing more of the O'Brien family in their books. Con: Have you ever hit the point with a person where you're so annoyed with them that nothing they do wouldn't be annoying? They could be sitting their quietly breathing and it'd be enough to drive you nuts. That's where I got with Caitlyn before I put this down. It wasn't a good sign for me when the book started off with a pregnancy test.and an unplanned one at that. The pregnancy is definitely unplanned and definitely not at the most convenient for her so I could understand this not being a joyous surprise. However, her complete inability to see anything positive or be able to change anything at all got annoying as it went on far too long. Noah was a good guy, a bit too good but while reading I was so annoyed at Caitlyn all I had left over was pity for him. I wanted to tell him just to run away and quickly! It should have been a giant flashing red sign for him that he had never once met her family in any form after a year and when it was revealed that she had not only not mentioned him to them but actually hid signs of presence and gone out of his way to lie I had a hard time believing she had any real feelings for him. It's Sherryl Woods so I'm sure the ending would've wrapped things up nicely and redeemed Caitlyn but I'm not sure this is a happy ending I could have rooted for. If Noah had been my friend I would've told him to go to a lawyer, make sure they agreed to a custody plan and then walk away. Overall: While this didn't work for me part of it is my dislike of pregnancy based plot lines. If that doesn't bother you you may have an easier time with Caitlyn. Would I Read More of this Series/Author? : Absolutely! I've read and enjoyed several books by this author. Would I Recommend this Book? : I would recommend this author but not this particular book. 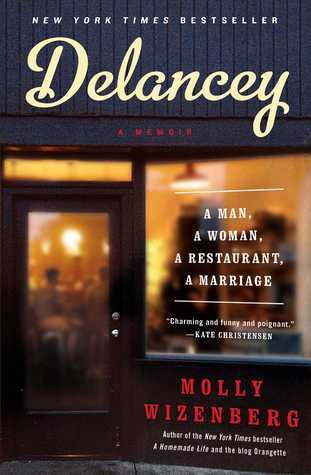 Delancey by Molly Wizenberg - I had loved Wizenberg's previous book but I think I loved this one even more. I really had no interest in opening a restaurant but now I really have no interest! That being said, I would wait in whatever line I had to wait in to get a seat in Delancey! Murder on the Home Front by Molly Lefebure - a true account from a female journalist turned secretary to one of the most renowned early pathologists. 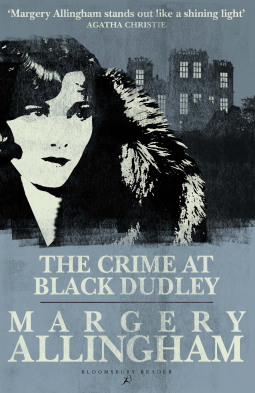 She gives us a look at the morgue and police investigations in World War 2 era London. The Tastemakers: Why We're Crazy for Cupcakes but Fed Up with Fondue by David Sax - I read this book back in January and March and am still talking about it. It's fabulous but don't go into a grocery store right after reading it or you will spend far too much money! Louisa Catherine: The Other Mrs. Adams by Margery M. Heffron - I know a lot about John and Abigail Adams but I know very little about their son and President John Quincy Adams and even less about his wife. This was a really interesting look at a little known First Lady. 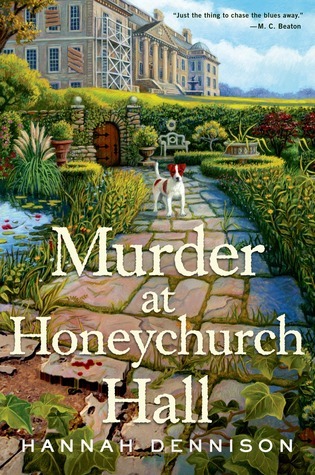 Murder at Honeychurch Hall by Hannah Dennison - I really enjoyed this modern day mystery set in England. It had touches of history, lots of mystery and great characters. I'm hoping there will be another one out very soon. Buried in a Bog by Sheila Connolly - Do you ever have an author whose writing just works for you and you're not even quite sure why? That's Connlly for me. Her mysteries are definitely not flawless but I always enjoy them. This is the first of a series set in Ireland. When the Rogue Returns by Sabrina Jeffries - I read Jeffries when I first started reading romances back in college but had stopped years ago. I was thrilled to rediscover her with this fabulous story. The plot was intriguing and the characters were well developed. 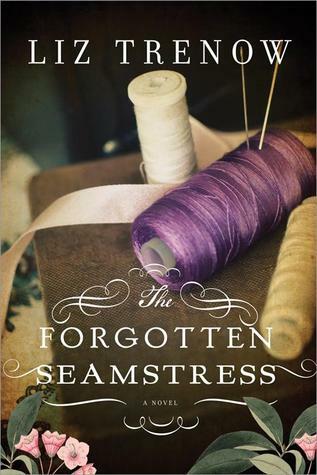 The Forgotten Seamstress by Liz Trenow - I was almost afraid to read this book as my expectations for it were so high but it didn't disappoint! There's a lot of history, a touch of mystery and a good dose of heart. The Birds and Other Stories by Daphne du Maurier - This book wins the award for book I've recommend the most this year. The Birds is the short story that Hitchcock loosely (and I mean loosely) based his movie of the same name on. I've always thought the concept was kind of silly until I read the story. Now I'll never look at birds the same way again. The other stories in this collection are great too. Goodnight June by Sarah Jio - This is the most feel good book I read this year. Throw in the children's book references and the treasure hunt through bookshelves and if you put this book down without a smile on your face I'm not sure we can be friends! I wouldn't have expected it but this was probably one of my best years for non-fiction. I had a hard time picking just a few and I definitely feel like I'm leaving great ones out. What were your favorites this year? 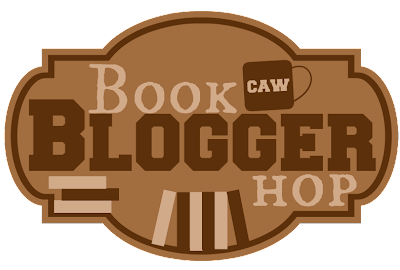 It's Sunday Post time which means time to link up with the awesome Kimba over at The Caffeinated Book Reviewer to talk about all that's been on this past week and what's coming up. This was not a silent week but not too bad. I got some books but several of the reviews aren't for April or May so I'm calling it good! Reading: I'm not feeling super motivated when it comes to reading though I've been enjoying All He Wants for Christmas by Lisa Plumley. I'm starting to overdose a bit on Christmas stories but I only have a couple more to go. Listening: Still listening to Secrets to the Grave by Tami Hoag. It's good but long. Watching: I really loved The Librarians last week and am looking forward to tonight's episode. It's like a middle grade adventure book in TV form for adults. Not the most believable but so much fun! Also, thanks to a comment by Nelle from Nelle's Nightstand over at Herding Cats and Burning Soup I discovered Hallmark's TV movie Christmas with Holly which is based on one of my favorite Lisa Kleypas books - Christmas Eve at Friday Harbor. Which led me to discover Debbie Macomber's Mr. Miracle starring Rob Morrow who I kind of love. Needless to say I'm planning on watching some cheesy Hallmark movies! So I'm not as behind as I was last week which is nice. I've still got tons to do but I have lists so everything is good! Most of the shopping is done so now it's just extras and candy and the stuff that needs to be made. Emma had her final ACT yesterday. So fingers crossed. Her score is good but she's competitive and wants a few more points. Eleanor was in town this weekend to decorate the Christmas tree. 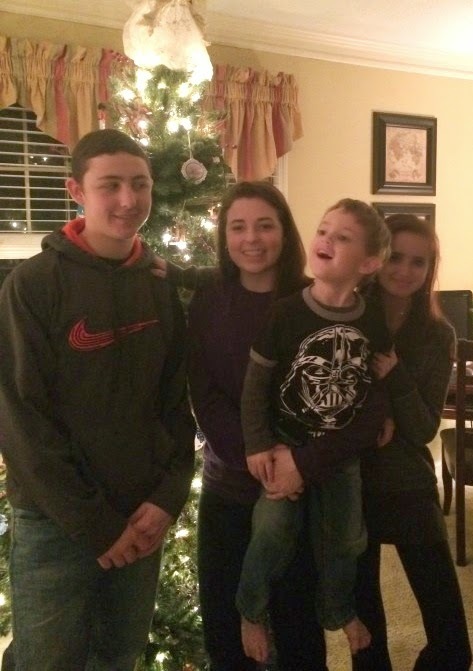 It was a lot of fun though we have a prelit tree and a few sections decided to randomly not light up. We were in a time crunch so we just added a few strings to make up for it but now we have to decide if we are going to fix it or replace it. It's ridiculously hard to get a decent picture of all 4. The Tornado is so excited he can barely stand it, Emma is hiding and judging from Paul's expression Eleanor is teasing him about something. It's cold and grey and very very December. My garden is very dead except for 2 parsley plants that have managed to stay green and 3 pepper plants that are riding out the winter in the garage. By the time of the first frost I'm kind of done with the garden maintenance. I'm tired of checking for pests and making sure everything's properly watered but not too wet. I'm definitely ready to do something else. But come December I'm already looking forward to that first taste of a fresh tomato which is so much better than anything you can find at the grocery store. I love all the varieties of tomatoes and always pick at least 2 or 3 new different types to try. 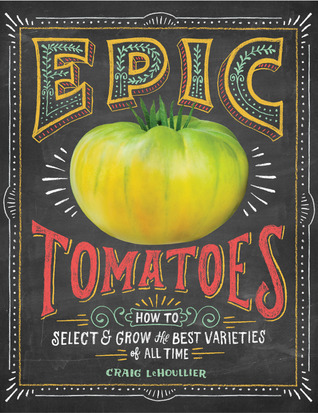 I was so excited when I came across Epic Tomatoes: How to Select and Grow the Best Varieties of All Time by Craig LeHoullier on NetGalley that I couldn't resist it. Everything you ever wanted to know about tomatoes is in this book. Their history, the different shades and types, the different flavors, and everything else you can think of. Their charts and illustrations and lots and lots of pictures. I loved that tomatoes pictured weren't flawless as so often the case in seed magazines. There are some flaws or cracking on the tomatoes and the shapes aren't perfect but they're so colorful and summery looking that I want a BLT sandwich right away with the tomato still warm from the sun. This would be a great book for anyone who is just starting out with gardening or even for a more intermediate gardener like me. It focuses on tomatoes in a way I haven't come across before. I think it will be a really useful guide for everything from selecting the varieties, choosing the plants themselves and keeping them growing and healthy enough to have a great harvest. I'm looking forward to be getting a print copy and flipping through this one. I can't wait to start making my list of tomato varieties for next year! I'll have my old favorites - Black Cherry, Golden Jubilees, Mortgage Lifters and Celebrity but I may have to add in a few new ones as well. I know I'll be keeping an eye out for Cherokee Purples, Golden Queen, Abraham Lincoln and a few others. If you like to garden and love freshly picked tomatoes this book is like a little taste of summer! How many books do you read in a week? How many hours a day do you spend reading? I probably read 2 to 3 books a week. It's hard to say exactly how many hours I spend reading as with 4 kids (one of which is preschool age) I don't have many long interrupted moments. I grab a few minutes here and there and then probably read an hour or so at least at night after everyone's gone to bed. So I'm pretty saturated in Christmas books right now but they've been mostly romances. I decided it was time for a little bit of a change and pick a non-romance Christmas book. This funny yet sweet book was just the thing. Set in the 1950s this book has a almost Christmas Story vibe to it as we see Christmas told through the eyes of a young boy. There's plenty of craziness and a few heartwarming moments. I read this a few years ago and have been really enjoying the reread. My names' Doug Barnes, and this stuff happened on Christmas Eve in my town, which is Asquont, New York. According to Mr. Purcell, who's my Social Studies teacher is an Indian name that means some Indian thing like "Hunting Place in the Green Forest," but sometimes I think it was just a joke by the Indians to get white people to say "Asquont." "We were driving on Route 218 when Frank saw a squirrel, and he must have thought it was a really dangerous-looking squirrel because he jumped out the car window to get it."